Interested in winning new business? Then this class is for you! 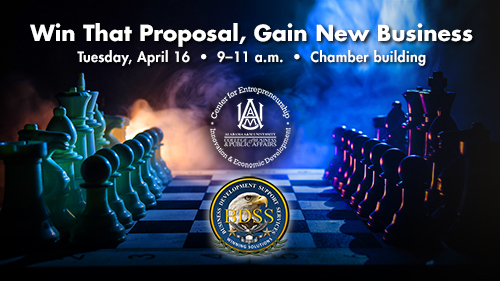 Join us as we partner with Alabama A&M's Center for Entrepreneurship, Innovation and Economic Development, and Business Development Support Services for this exciting class. Participants will learn how to Improve your Pwin (Probability of Win) and Return on Investment with focused Business Development and proposal efforts. How to apply focused business development and proposal resources and at the right time to win that proposal. How to use the latest graphics tools to visualize your solution for the customer.